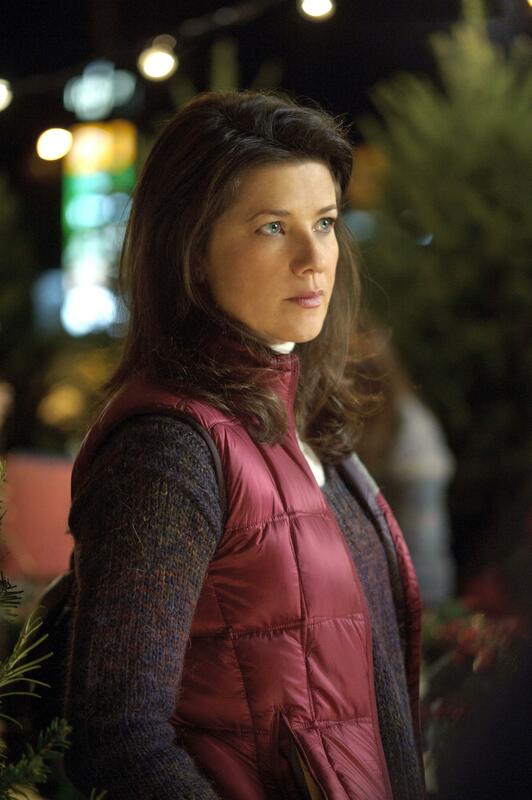 Joy Robertson [Daphne Zuniga], mother of twin boys, prides herself on entertaining and particularly decorating and having a perfect holiday season. Joy’s domestic with a bit of an individualistic edge as she runs her own yarn/crafting shop [her mom works there with her] in the idyllic collegiate town in which her husband, Stephen [David Sutcliffe—Drop Dead Diva, Gilmore Girls], is a busy professor. While her sons are more interested in hanging out with friends, Joy wants their last official holiday to be perfect. Her husband is also scrambling to get final edits of his book to his publisher. Joy wants a special day which means that everything is done her way. Based on the popular novel by Sheila Roberts, On Strike for Christmas tends to be really sexist—guys can’t cook, decorate or send out holiday cards without mommy or wifie’s assistance or guidance? The major problem: Joy’s methods require way more time than anyone can invest in this year. Joy decides that she’ll go on strike for Christmas. She wants “her boys” to miss her and realize how important she is to the holiday and their lives. Not a bad thing just perhaps not the best message about perfection. Soon many women in town follow her lead. Suddenly, the men are shopping! Soon enough Joy realizes the true importance of the holiday: having her family healthy and together. an expressive face and comfort in her role allows Zuniga [Melrose Place] to bring an entertaining, subdued performance to the small screen. On Strike for Christmas isn’t breaking any new ground, however, and just makes me think that marriage is more and more a battle of the sexes and stereotypical roles. 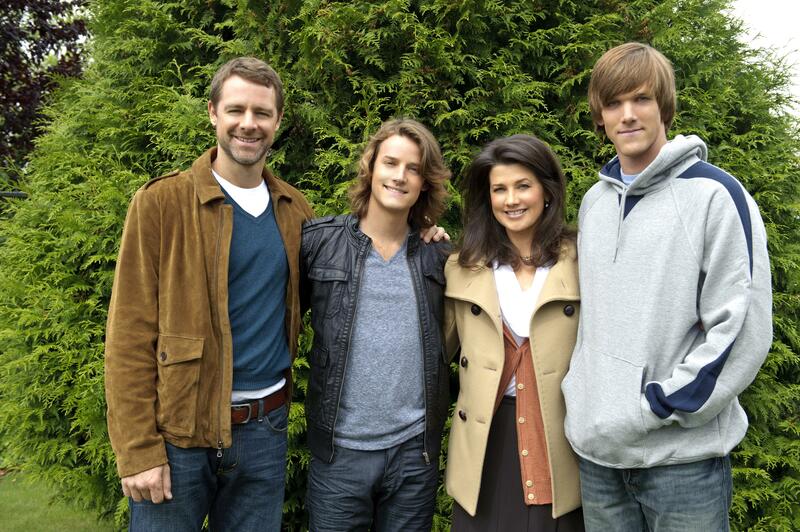 ON STRIKE FOR CHRISTMAS PREMIERES SUNDAY, December 5, 2010 AT 8PM ET/ 5 PM PT ON LIFETIME MOVIE NETWORK. This entry was posted on December 5, 2010, 19:32 and is filed under TV. You can follow any responses to this entry through RSS 2.0. Both comments and pings are currently closed.